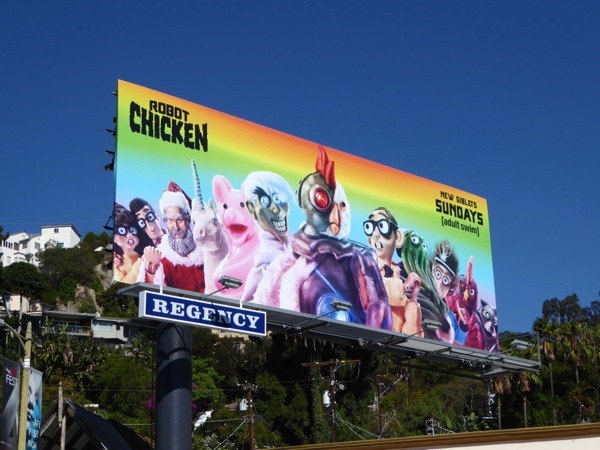 We started the week with some animated family fun with The Good Dinosaur and today it's the turn of some stop-motion animation of the more grownup variety, courtesy of Robot Chicken. 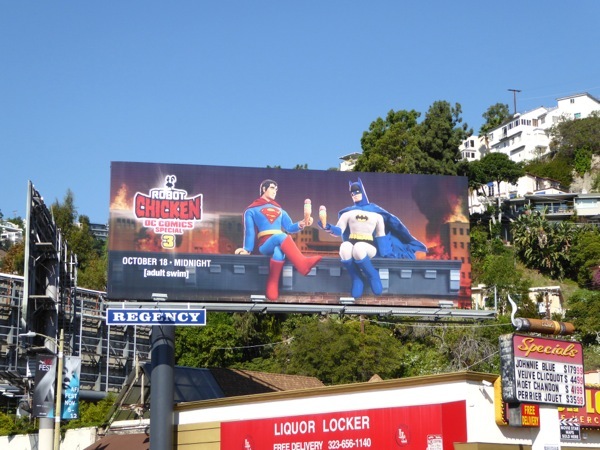 The Adult Swim sketch show now in its eighth season, along with the third DC Comics Special, are made to turn heads in the city skies with their outlandish characters and iconic heroes sharing an unexpected ice-cream break. 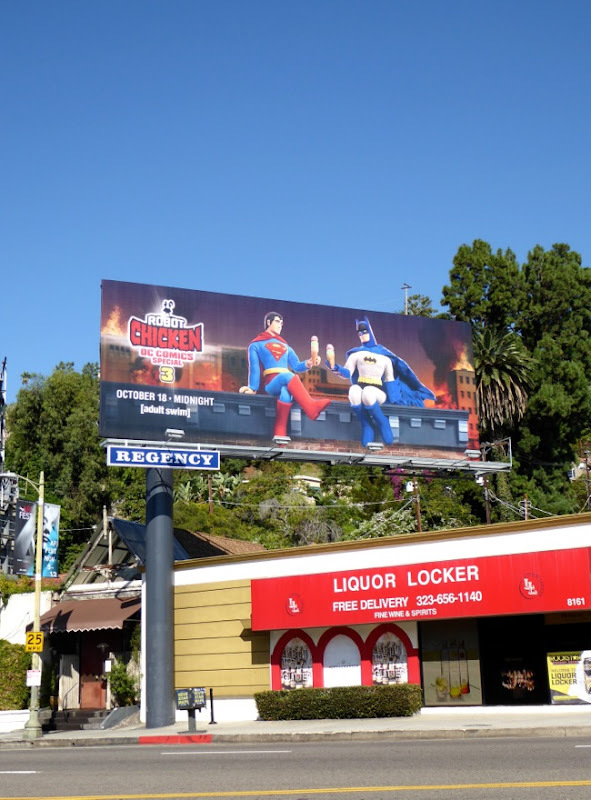 Let's hope Robin doesn't get too jealous of the magical (and competitive) bromance between Superman and Batman, although if you think this spoof is an intimate moment, be sure to also enjoy this contemporary Modern Heroes sculpture by Mauro Perucchetti which parodies Michelangelo's The Creation of Adam using the two DC heroes. 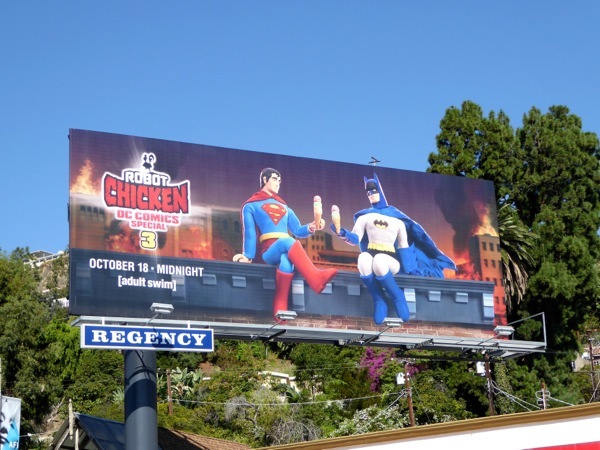 The DC Comics Special 3: Magical Friendship billboard was snapped along Sunset Boulevard in West Hollywood on October 13, whilst the season eight billboard for Robot Chicken was spied on October 21, 2015 in the same ad location. 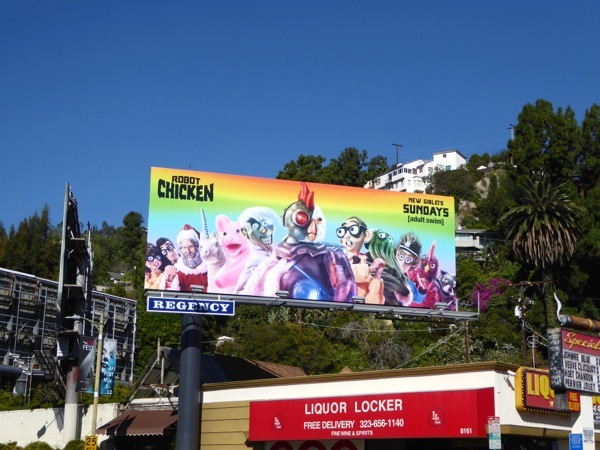 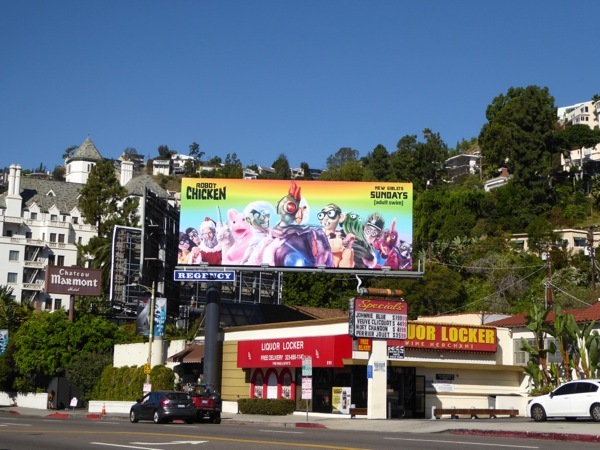 If you're a fan of the acclaimed series co-created by Seth Green and Matthew Senreich, be sure to also check out this banging Robot Chicken season six billboard from 2012. 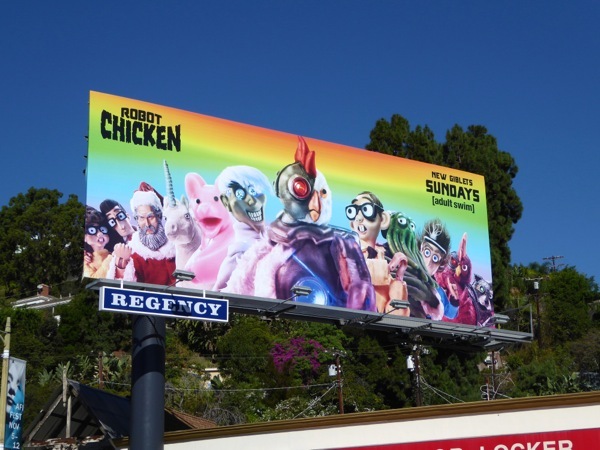 Get ready for more animated silliness featuring men in tights (and capes), mad scientists, cyborg fowl, unicorns and even Santa Claus.